A cookie press is used to make patterned cookies by forcing dough through a tube. Different attachment plates on the end of the tube create Christmas trees, hearts and flowers. 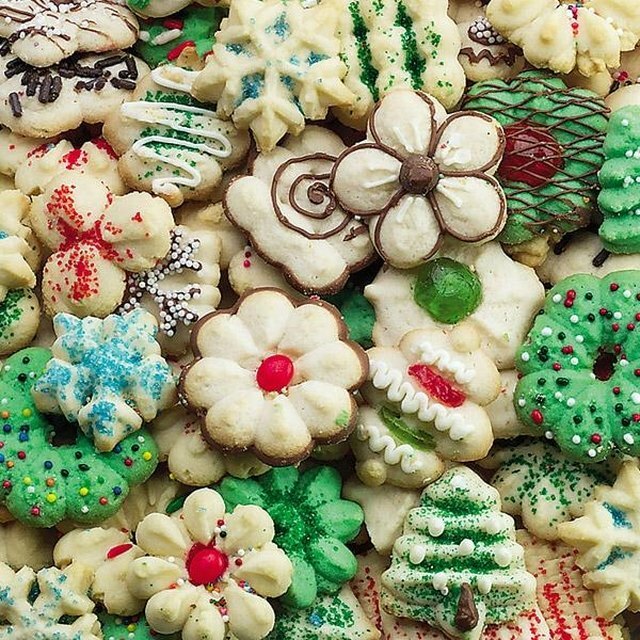 Top the cookies with icing, colored sugar or sprinkles for added decoration. If your cookie press breaks mid-project, it can be disheartening to continue, but there are makeshift options to complete the batch of cookies. Cake-decorating supplies can be used in a pinch to make piped cookies. 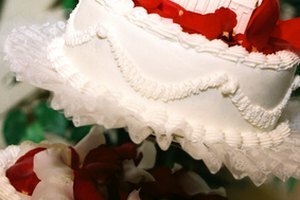 Use a heavy-duty icing or pastry bag. Avoid the thin, see-through plastic variety that will easily burst at the seams under pressure. Allow the dough to become soft by resting at room temperature to make piping easier. Put the tip in first and tightly secure it, then load the dough into the bag. Get as much air out as possible before twisting the bag shut and piping away. 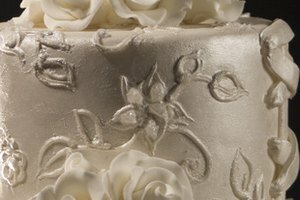 Use a large tip to create stars or flowers by piping straight down and letting the dough fan out into the shape. Try a medium or large tip to make a spiral cookie. Choose a point and move outward in a circular motion. For a quick fix without a cookie press, roll out the dough on a lightly-floured board. Form a 1/2 inch thick rectangle. Cut out shapes with a cookie cutter. If you don't have cookie cutters, use a glass or odd-shaped lid. Find an item about the same size you want your cookies to be, then wash and dry it thoroughly. Put a light coating of flour or cooking spray on it before using. Press straight down without twisting. Use a spatula to gently transfer the cookies onto a baking sheet approximately 2 inches apart and continue following the recipe as directed. Make your own templates by cutting shapes out of cardboard. Place them on the dough and use a sharp, non-serrated knife to cut around the shape for each cookie. 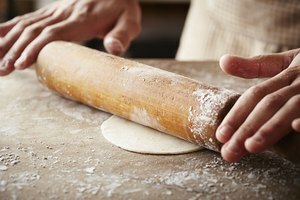 As an alternative, use a decorative pastry cutter to make the rolled out rectangle edges even, then pull away the excess dough. Cut horizontal strips about 1 &#xBD; to 2 inches wide. Cut vertical strips the same width. What Is a Dough Sheeter?